We're glad to see that the battery life has received a bump as well. Because most Windows tablets have settled upon the 12.1-inch display size, an increase is unexpected. Lenovo’s third-generation ThinkPad X1, however, bumps up the visual quality with a larger, 13-inch 3K screen. The significant improvement over the 12-inch, 2160x1440 IPS display in 2017’s second-generation X1 Tablet may boost Lenovo’s standing. Though I consistently come away impressed by Lenovo’s tablet offerings, it still tends to fall a bit short compared to similar products by other vendors. 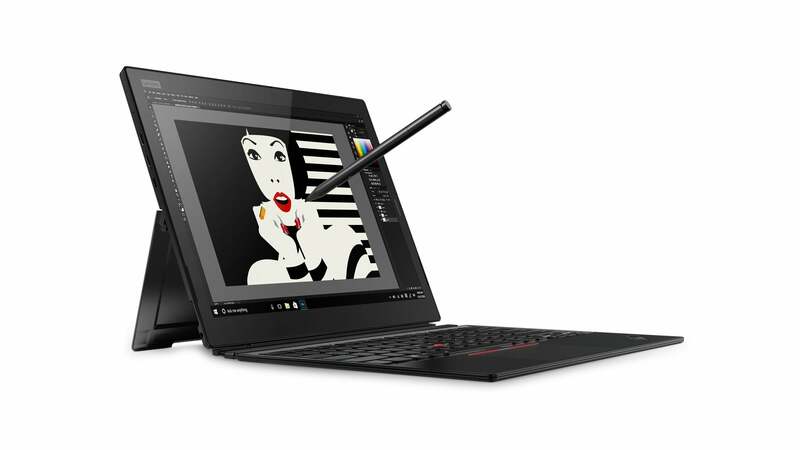 Otherwise, Lenovo has retained the best bits from its earlier ThinkPad X1 tablets. Inside it is a Core i7-8650U, a member of the new Kaby Lake R family of 8th-generation Core chips. (The 2017 version we reviewed had a slightly less powerful Kaby Lake chip.) The new ThinkPad X1 also includes up to 16GB of LPDDR3 memory and up to a terabyte of NVMe M.2 SSD storage. 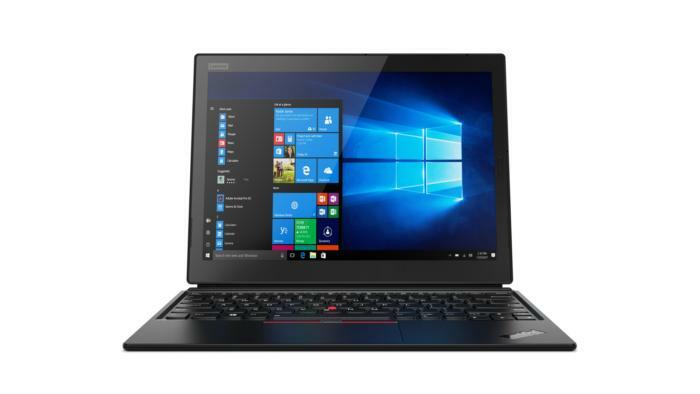 The 2018 version of Lenovo’s ThinkPad X1 Tablet ships in March for a starting price of $1,599, but expect that price to jump if you opt for the larger memory and storage configurations. You'll notice the 42Whr battery (with an estimated 9.5 hours of battery life), bigger than the 36.4Whr battery on the 2017 version of the ThinkPad X1 Tablet. The earlier version posted a middling run time. Given the additional screen size and display resolution of the 2018 version, the increased capacity may simply keep the tablet's life the same as before. But the larger screen and bigger battery will also add a half-pound or so to the overall weight: 2.79 pounds with the attached keyboard, versus about 2.38 pounds (measured) for the 2017 offering. The ThinkPad X1 Tablet (2018) includes a pair of USB-C/Thunderbolt ports, as well as a MicroSD card reader and headphone jack. Though you can order the new tablet with a Windows Hello-capable camera, the default is a Hello-capable fingerprint reader that’s already included. Lenovo’s new ThinkPad X1 pen also keeps up with the competition. The Active Pen features 4,096 levels of pressure. 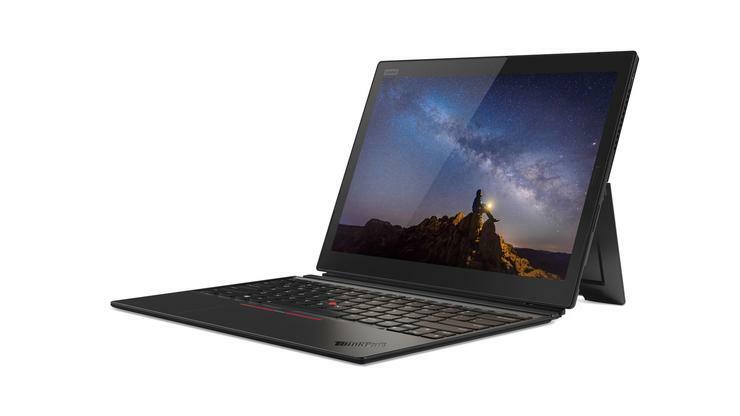 It’s not entirely clear whether Lenovo will eventually ship the ThinkPad X1 Tablet (2018) with an integrated Alexa app, as the other members of the family, a new ThinkPad X1 Yoga and Carbon, are. But the X1 Tablet (2018) is set up for voice control, with integrated far-field mics good for hollering reminders at whatever digital assistant suits your fancy: Microsoft’s Cortana, or her usurper, Amazon’s Alexa.